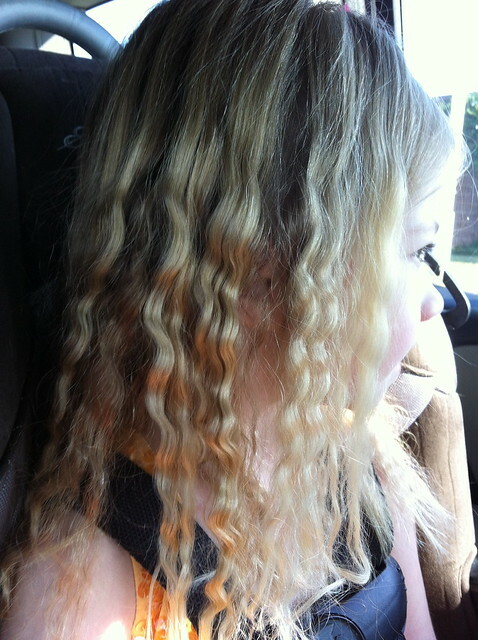 Ella rocked some crimps for her last day of school. Don't have a crimper? No problem. You too can rock this look. 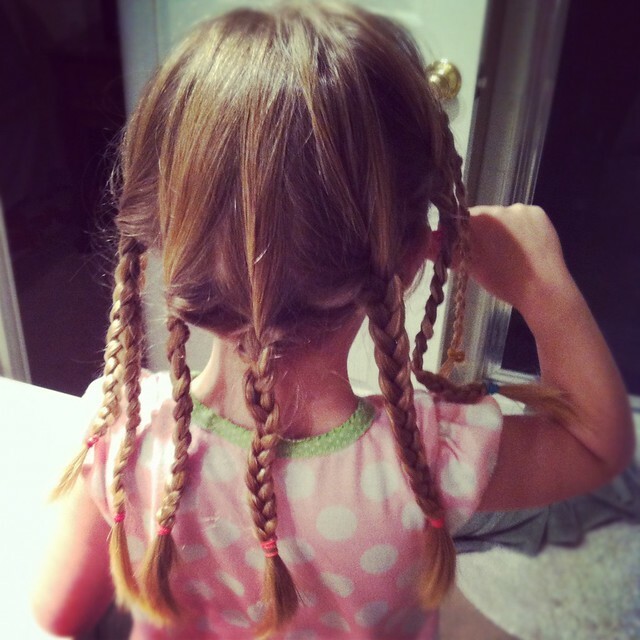 All you have to do is sleep on a head full of braids. Nothing says summer like TCBY. 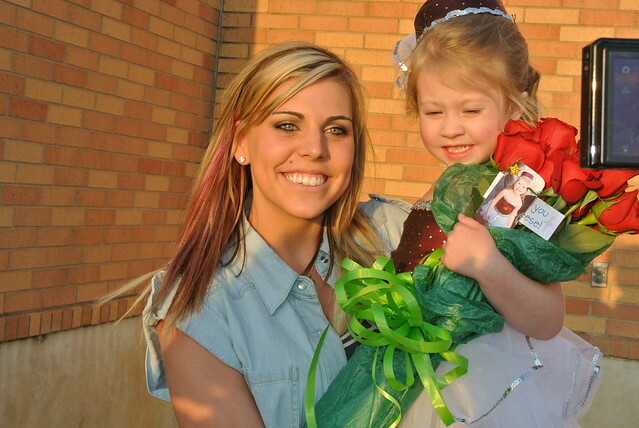 Ella passed out these gift cards on her last day of school. We hope to spend many summer days enjoying some white chocolate mousse! 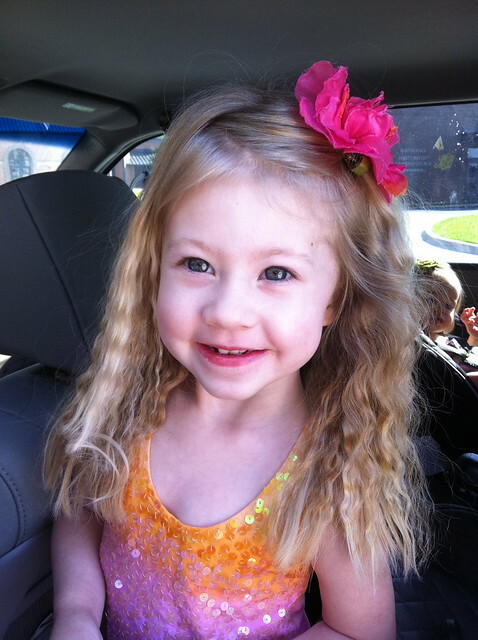 Today we meet with the ENT to schedule Ella's tonsillectomy. The sooner the better. Ella went to the dentist last week and turns out she has some cavities. I'm embarrassed to even say how many. (you would need both hands to count) She really does brush her teeth. The dentist wants to piggyback with the ENT and fill her cavities at the same time she gets her tonsils removed. It makes sense but also makes me so sad to think about how hard this is going to be on Ella. Besides all the crazy things to come, our summer couldn't have started out any better! 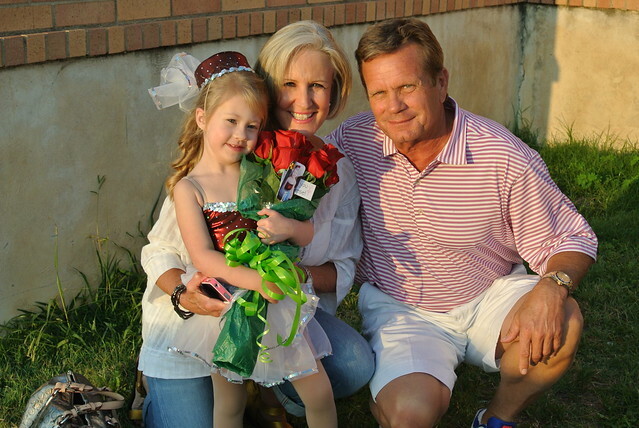 Ella finished school on Friday and had her first dance recital on Saturday! It was the best weekend! 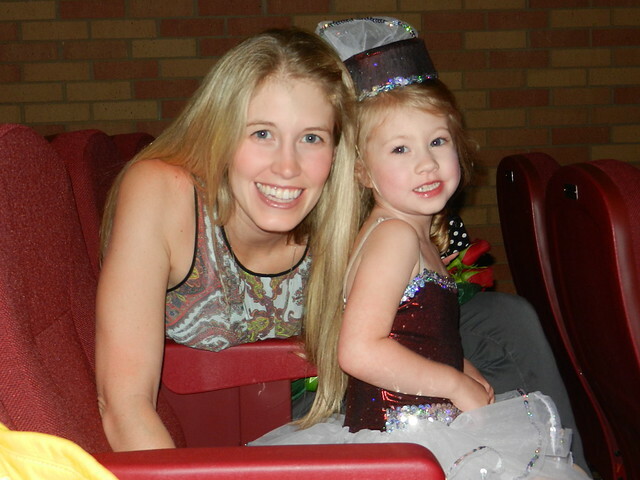 I grew up taking dance so I have been living vicariously through her counting down the days till Ella's recital. 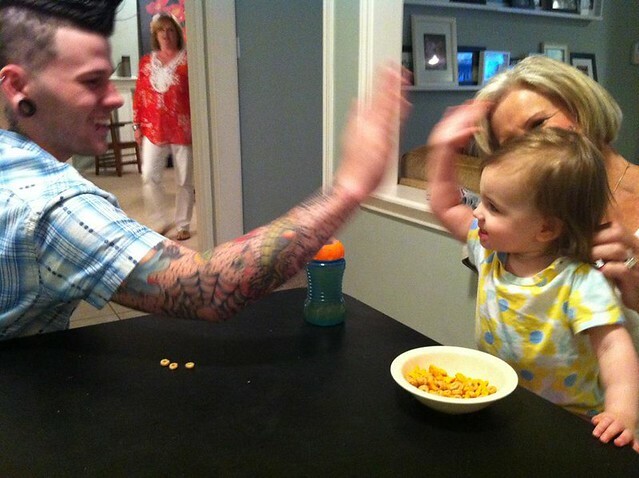 That was always my favorite part and I knew Ella was going to love it too. 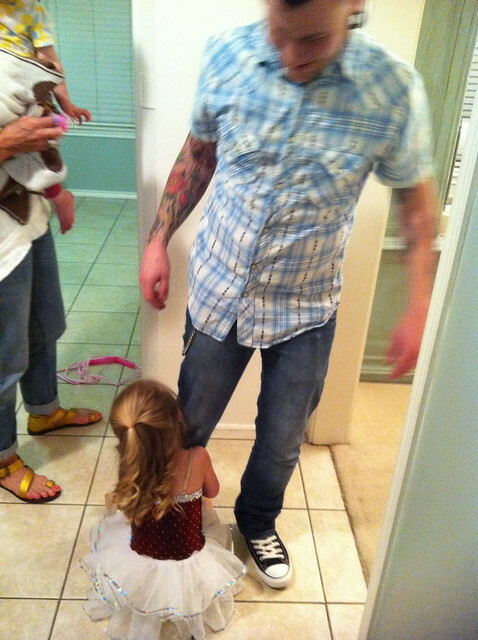 Ella is a full blown girly girl. Getting to wear mascara might have been her favorite part. Well, next to the red roses. 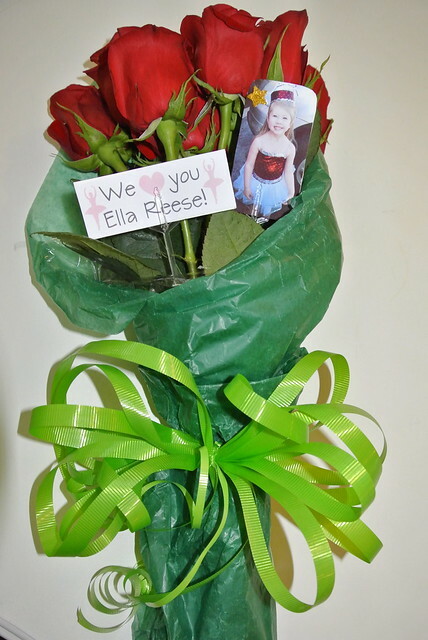 Ella loves red roses. 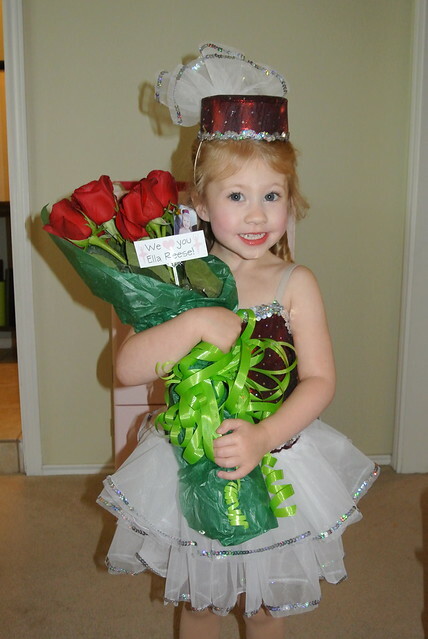 She calls them wedding flowers because I carried red roses at my wedding. Ella knows this because she requests to watch my wedding video at least once every couple of weeks. Hilarious and so sweet. 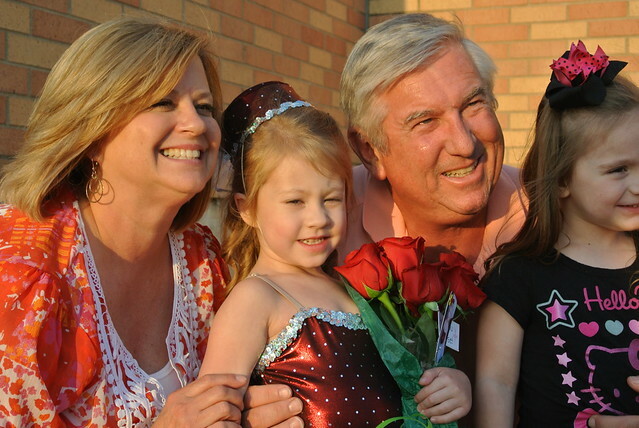 Both Bob and I's parents and my sister Anna and Tyler came to watch Ella's dance. It was so so wonderful having everyone here and Ella felt so special. Dawn and Billy were keeping Elizabeth over the weekend so it was an extra treat for Ella to have her cousin there too! Ella did awesome! 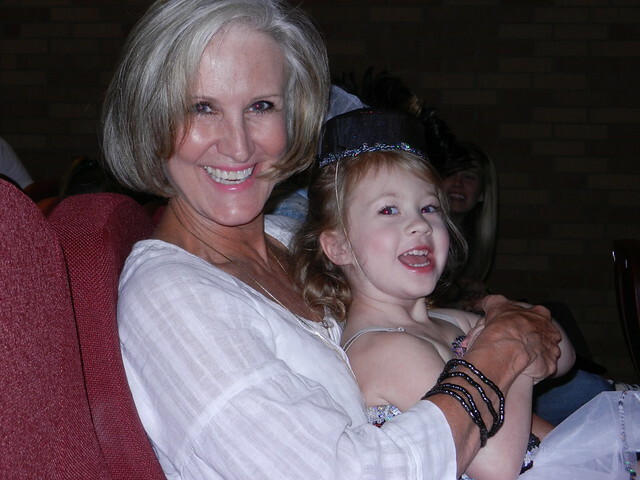 She knew all the dance moves and had such a sweet and happy smile on her face the whole time. On the car ride home she was talking about how much fun the recital was so I asked her if she wanted to do dance again. She said, "No. I want to do soccer. Soccer like Avery." Ok! Lets give soccer a try next! 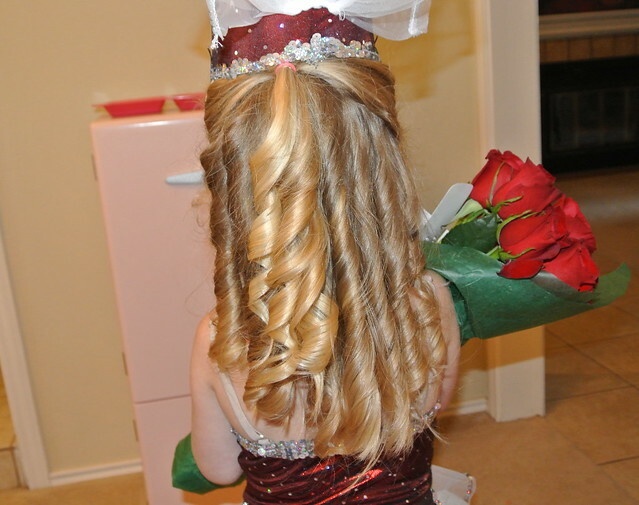 Oh this reminds me of when we used to roll our hair in toilet paper or Kleenex at night to have curls in the morning! How cute! On the dentist, I think I read somewhere that kids these days are more prone to cavities because we give them only filtered or bottled water and we grew up with more tap water, which has flouride. So now I try to mix it up for my boys. Who knows if there is any truth to it, but I figure it can't hurt, right? It was such a fun weekend! 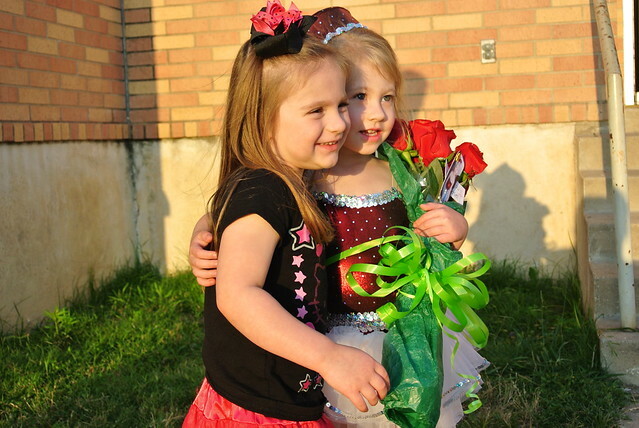 Brought back sweet memories of your recitals! AH! where do I even begin?! I know I have said it a million times, but E has GORGEOUS hair. Those curls!! 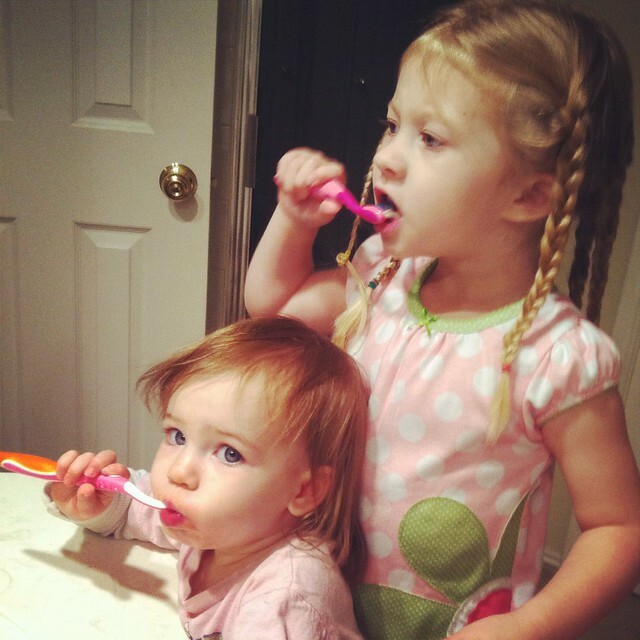 I think Ella & Masyn would seriously be bff's if we we in the same town. They have so much in common that it is just crazy. TCBY is fab. What a sweet little gift for the end of the year- and how much do I love that little tag?! I just love everything about this post. ps i cant get over how big Kenna is getting! Brushing her little teeth all by herself! They sure grow FAST. I need 10 more. ha!